Syncing makes all your Postman data available when you're signed in to your Postman account. Changes, such as edits, additions, or deletions, sync across all devices that are linked to your account. How do I Sync between computers? 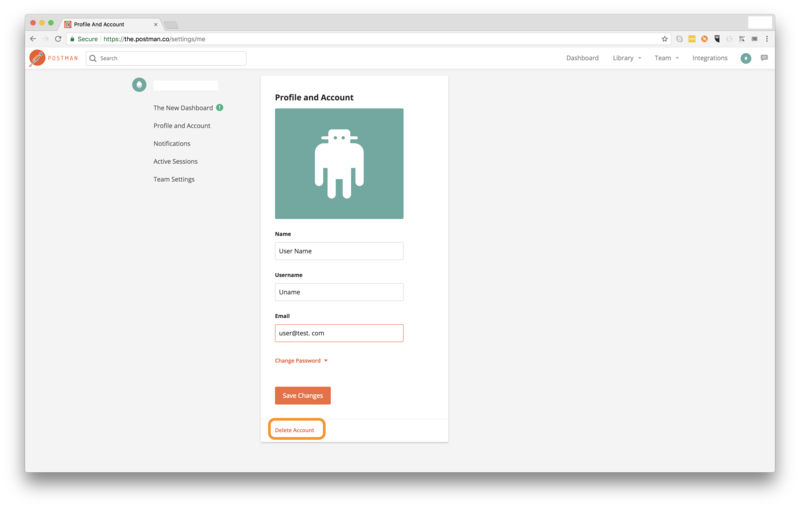 Install the Postman app and sign in with the same email address or username on all your devices. If you forget your username or password, you can recover your username and reset your password when you click the links near the signin prompt. 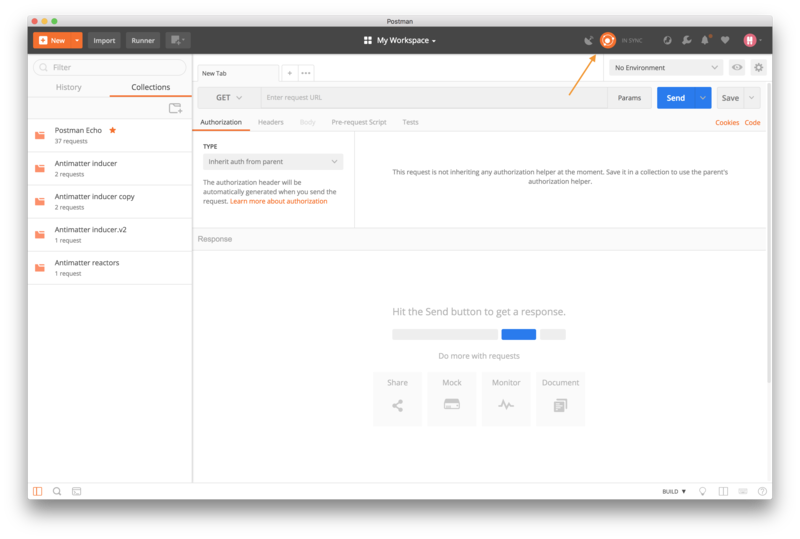 Once you log in to Postman app, your data gets synced across all devices. Postman automatically ensures your data is the same no matter from where you access. No further settings are required. Note: Postman restricts parallel usage to three apps per account. If your app is in sync with our server, the icon to the left of your name in the top navigation appears orange, and displays IN SYNC. If a sync operation is underway, it displays SYNCING. If you are not signed in to the app, you see OFFLINE. When you open the app or if your connection drops, it displays CONNECTING before it starts to sync. If you choose to sign out, Postman deletes your data from the local instance of the app. Don’t worry, Postman restores all your data from the cloud when you sign in, and enables other users to use the app without your data clashing. When you reload the app, Postman automatically retrieves the most recent and up-to-date version of your collections. Note: If you don't intend to sync, you must export your data and then signout. However, if you need to delete already synced data, then you must delete your account. Note that you must leave the team first in order for you to delete your account. If you are a member of a team, click here to exit the team. If you have a Postman account and are not part of a Postman team, you can delete your account. Otherwise, you can contact us at help@getpostman.com.